.Come join us for the 10th Annual BBQ and Picnic with your fellow Ivy League alumni. Enjoy an afternoon of great food and make new friends from the participating alumni associations! 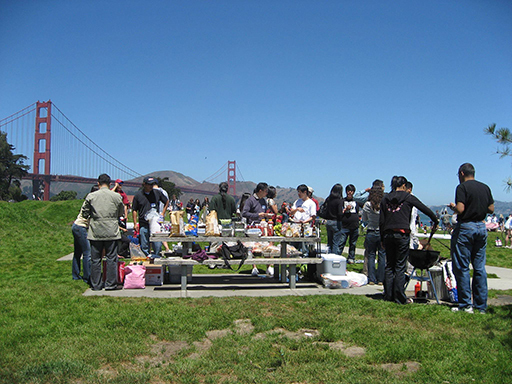 This year we are returning again to San Francisco for the event at Crissy Field, West Bluffs Picnic Area (near the Warming Hut). Note: Parking (paid) at Crissy Field can be extremely challenging during the weekends, so instead of driving alone - please carpool, take public transit, Uber/Lyft, bike/scooter or other means if possible. Price includes: Hamburgers (veggie too), hot dogs, chicken, salads, fruit, snacks and drinks.